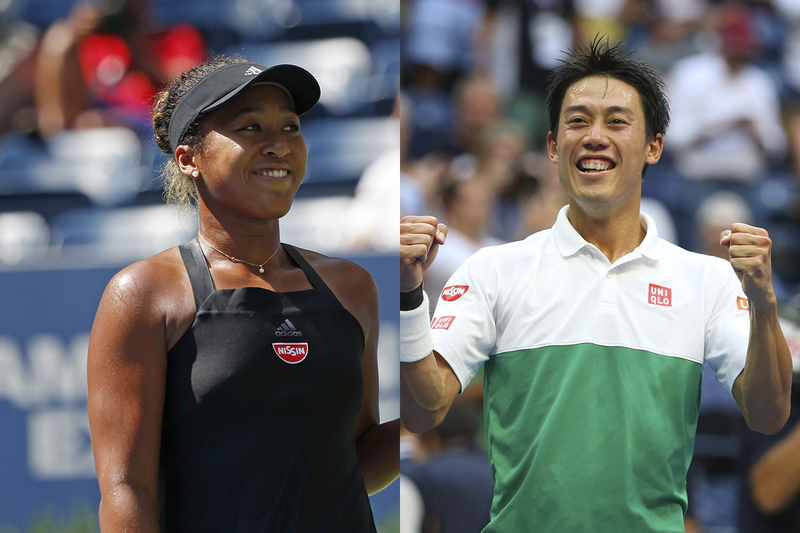 New York: Kei Nishikori and Naomi Osaka made history at the US Open on Wednesday when they became the first Japanese man and woman to reach the semi-finals of the same Grand Slam. Nishikori reached the last four of the men’s singles with a 2-6, 6-4, 7-6 (7/5), 4-6, 6-4 victory over Marin Cilic — the man who beat him in the 2014 final. Earlier, Osaka defeated Ukraine’s Lesia Tsurenko 6-1, 6-1 in the semi-finals of the women’s singles. The 20-year-old Osaka is also the first Japanese woman to make the last-four of any Slam since Kimiko Date at Wimbledon in 1996.